This attractive picture frame for 13 x 18 cm photos is made from stainless steel plated with silver and coated in a shining lacquer finish. That means that not only will you never have to polish it for it to keep its radiant shine, but it also makes for an extraordinarily attractive look on your sideboard or shelf. A befitting setting to display your dearest memories in an elegant and thoughtful manner. 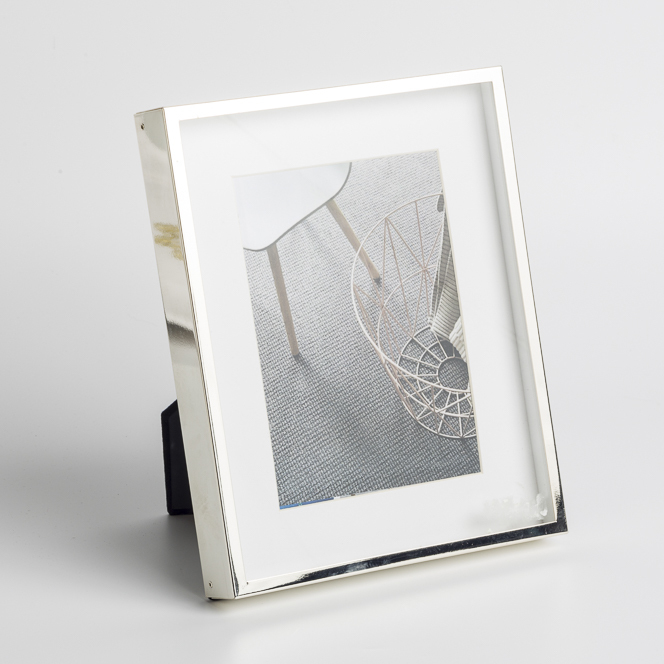 With a thick shiny border and included passepartout, the 'box' elegantly frames your favorite shots. 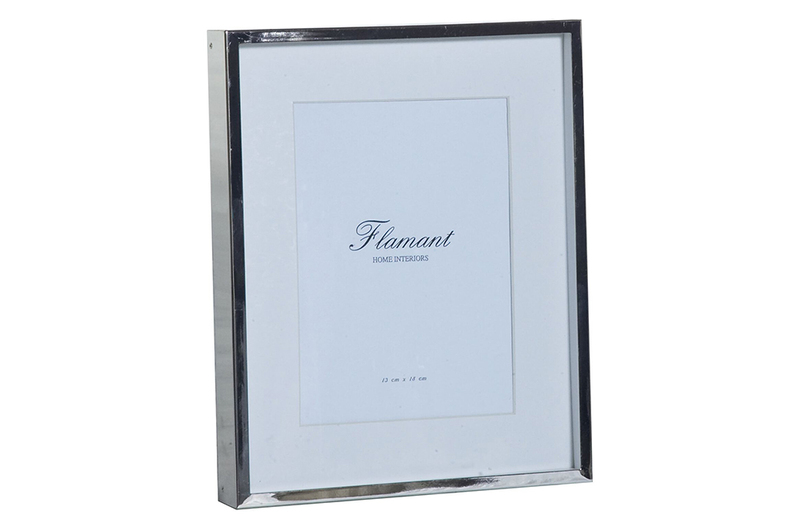 Thanks to its attractive packaging in a dark green box with the Flamant logo, the box frame also makes a great gift idea.